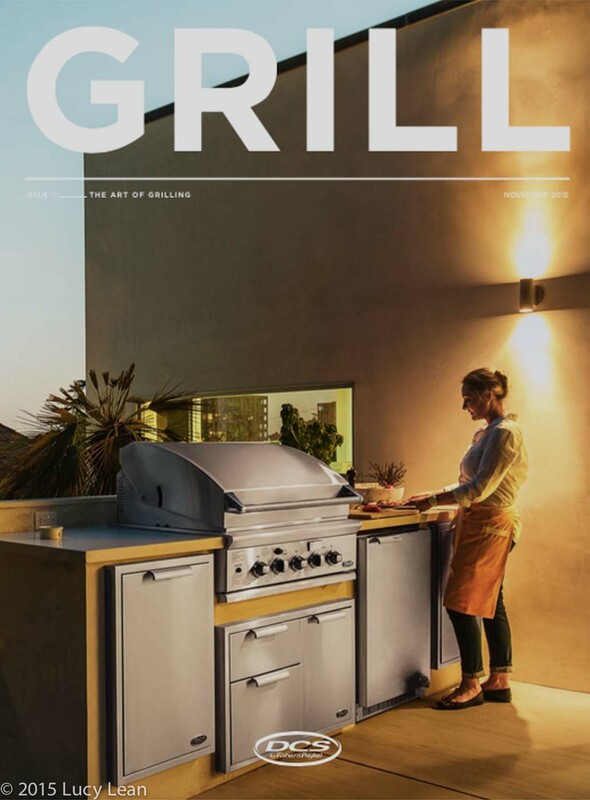 I made the cover – no not Vogue like my sister asked – but Grill magazine – and when you are Girl & Grill this is like being an architect and making the cover of Dwell or a designer making the cover of Interiors. 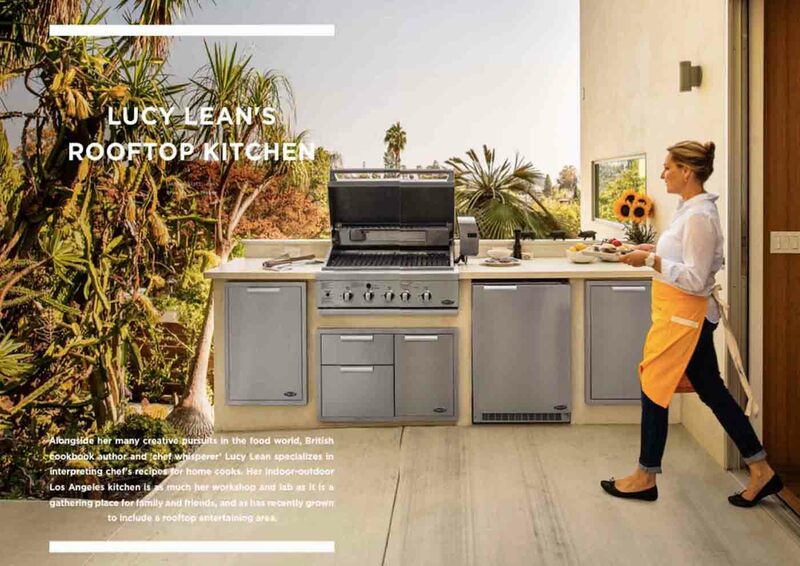 We had such a great day shooting this – thank you to everyone who made it look so beautiful – DCS appliances for the beautiful outdoor kitchens and grill, Lisa Fiori for the gorgeous sunflowers, Ellen and Marissa at Hedley and Bennett for coordinating my gorgeous sunny yellow apron, Nathan at McCalls for always supplying me with the best quality meat and seafood and Kathy at Vintageweave for the gorgeous oversized ice bucket – much needed for the large quantities of pink bubbles and the beautiful Marie Antoinette coupes! Devein the shrimp by running a sharp knife along spine and then pulling out the yucky grey vein. In a shallow bowl marinate the shrimp in a mixture of marin and a little rice vinegar. 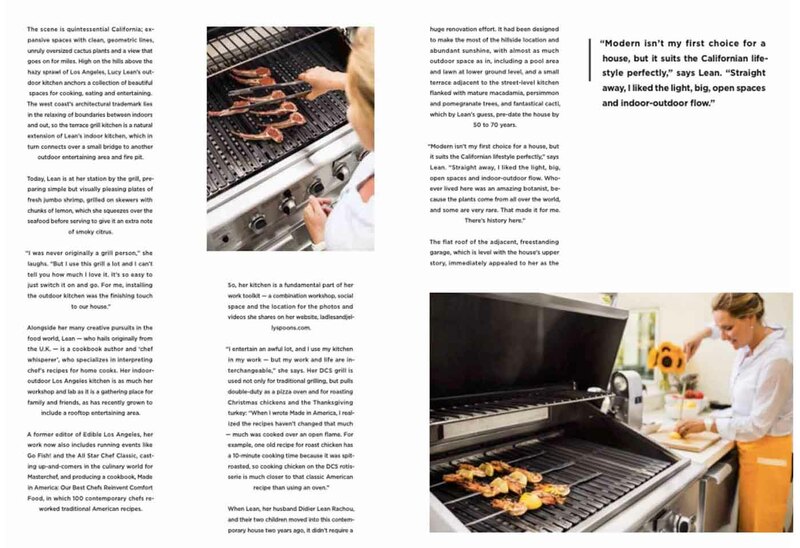 Fire up the grill and get it nice and hot. On a skewer alternate shrimp and lemon wedges. Turn the heat down to medium and place the skewers on for a couple of minutes until the shrimp turns pink and turn and grill the other side. Serve immediately, remove from skewer and squeeze the grilled lemon over the top. 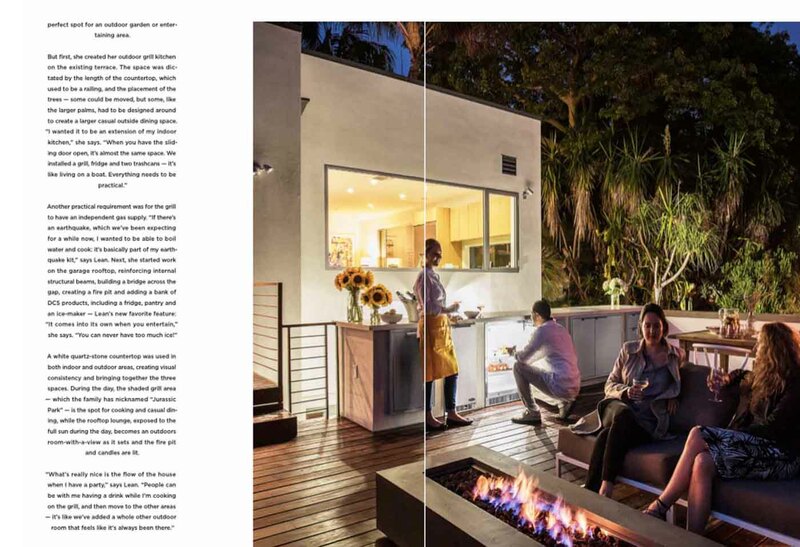 Then here’s the best part – invite friends over to enjoy around the fire pit – with a glass of Billecart Salmon rosé kept cold in ice from the new DCS ice maker contained in a beautiful bucket from Vintageweave. I feel that Didier is kneeling in full proposal mode but actually he’s looking the refrigerator for another bottle of bubbles! This is epic! I can’t wait to get my hands on a hard copy to read. Major kudos.